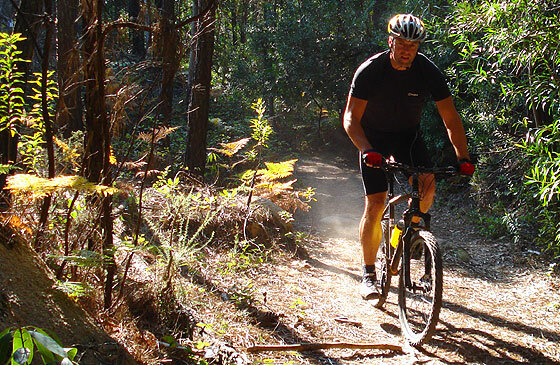 Ride the best of Sintra's forest and coastal trails; enjoy stunning scenery and and choose the level of mountain biking that suits you best. Ride woodland and seaside trails. 3 to 6 hour Tour Duration. Tailored to suit your riding style. 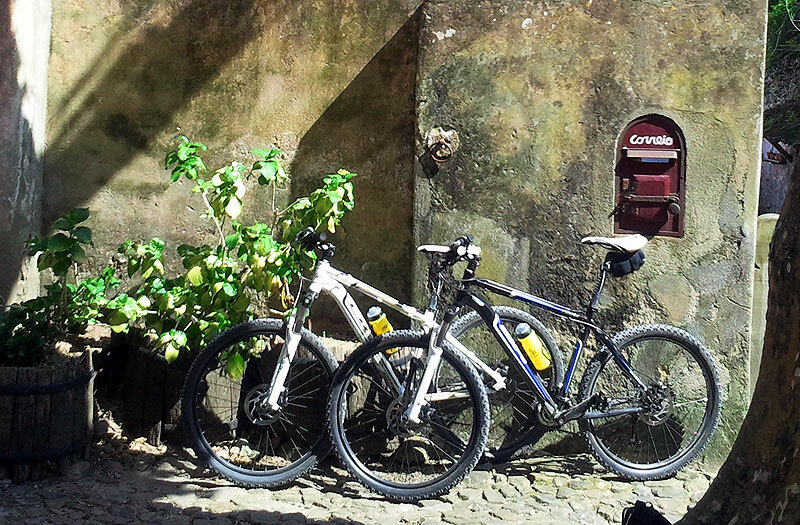 Ride the cobbles through the historic center of Sintra. Have a chance to visit the old monastery of Capuchos, hidden in the woods. Ride out to Cabo da Roca, Europe's most western tip. Option to have lunch at the Cyclists Retreat a shrine to Portugal's great cyclists. Ride the wooded trails to breathtaking lookouts. Sample some of Sintra's wonderful and justly famous pastries. 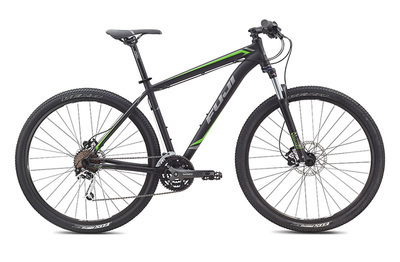 Professionally serviced 29er mountain bike per rider. 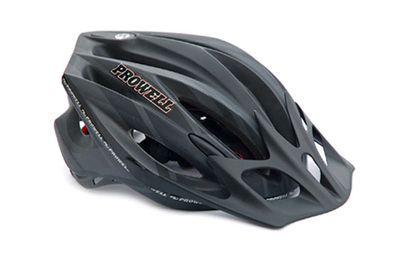 Helmet, Multi-tool, Pump and Spare Tube per rider. Sports isotonic drink and power bar snack to keep you strong. 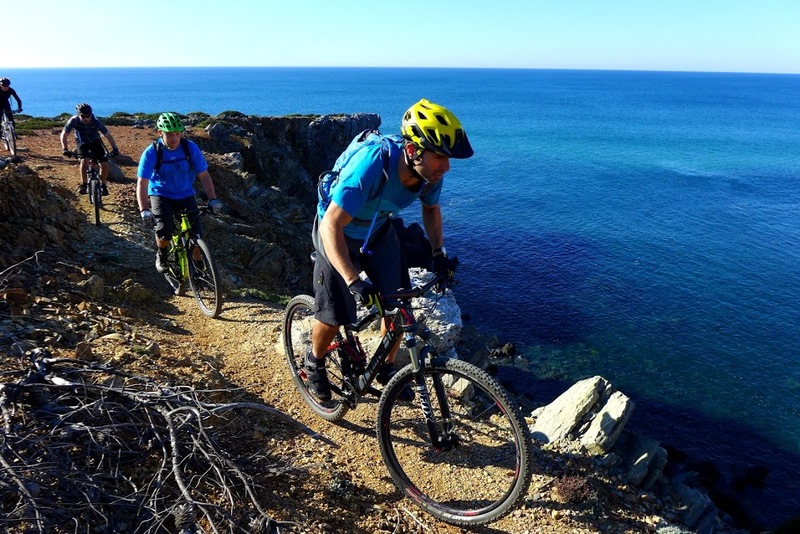 Full time Guide, suitable for entry level to proficient riders. Free to keep Bike Bottle. We had a wonderful day biking trip in the Sintra area. Our guide did a great job in planning our biking route according to our wishes and fitness level. 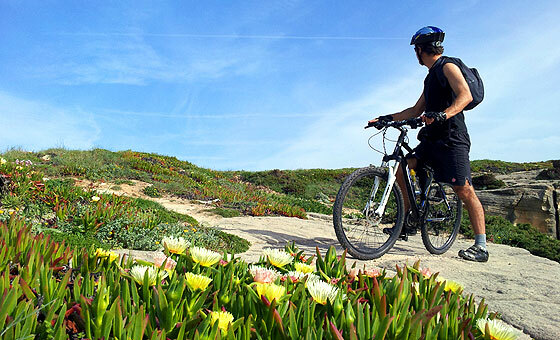 If you go to Sintra, we really recommend you to do a day biking trip. 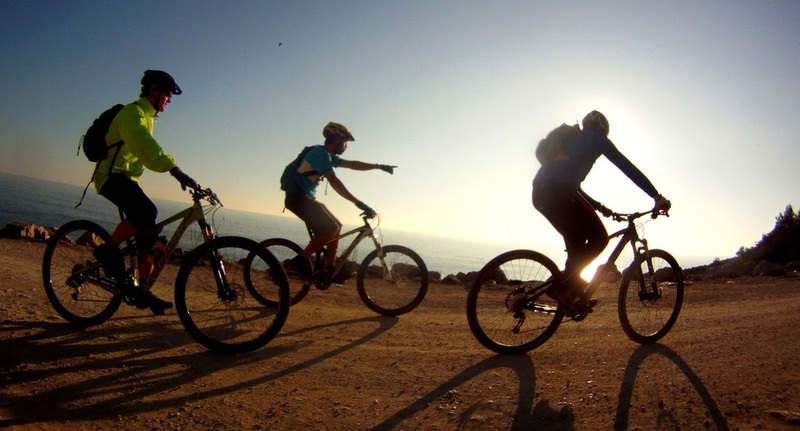 Sintra is a hilly destination, that is what makes the trails so fantastic, but you need to be an experienced mountain biker to really enjoy your day out. If that doesn't sound like you, we recommend our "No Sweat" E-Bike Tours instead. The actual route you ride is tailored to your tastes and level of fitness. 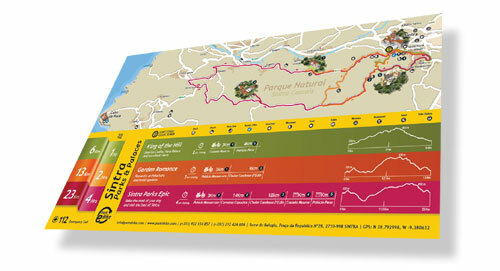 The elevation and distance shown are an example of one of the most popular possible routes around Sintra. 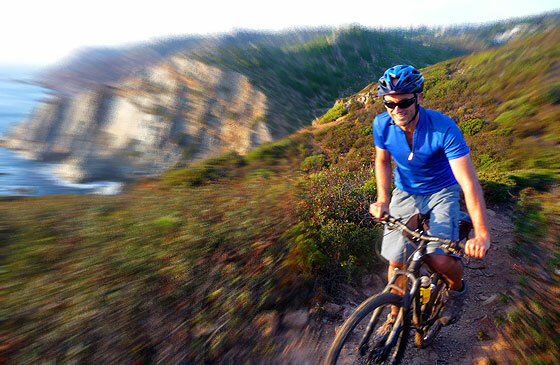 Wear comfortable outdoor, layered clothes rather than heavy jackets and don't forget your camera. Don't forget to read our Terms & Conditions too please. No that's not a miss print! Although we can't make the weather, we can make sure you will never have to ride in the rain: book any time and if by 19:00 the evening before your booked Day Trip tour you let us know you would prefer to take a rain check, we will fully refund you - Guaranteed!